Barbara Stephenson has served as president of AFSA since July 2015. As Dean of the Leadership School at FSI (2013-2015), she launched a Department-wide dialogue—the Leadership Roundtable—to improve leadership and management to unleash the tremendous talent at State. She served previously as Ambassador to Panama and DCM/Chargé in London. She won a Distinguished Honor Award for delivering the “civilian surge” to Iraq—without breaking the back of the Foreign Service. She also served as Consul General in Belfast and CG and COM in Curaçao and received a Superior Honor Award for her work on the peace agreement in El Salvador. With over thirty years of service, she entered as a political officer and has since served interfunctionally, meeting the needs of the Service whenever and wherever called. In her second term, Ambassador Stephenson will work to seize every opportunity presented by these challenging times to make the Foreign Service stronger in fact and in reputation. She will also continue efforts to improve governance at AFSA to ensure that member dues are used as efficiently and effectively as possible for the benefit of the Foreign Service. Earl Anthony Wayne served as a U.S. diplomat from 1975 to 2015. The U.S. Senate confirmed him as a Career Ambassador, the highest rank in the U.S. Foreign Service, in 2010. He is currently a Public Policy Fellow at the Woodrow Wilson International Center for Scholars and a Senior Non-Resident Advisor at the Atlantic Council and at the Center for Security and International Studies. Wayne is an advisor for HSBC Bank in Mexico and Latin America on countering illicit finance. In addition to his new post a AFSA Treasurer, Wayne chairs the PAC of the American Foreign Service Association. He served as the U.S. Ambassador to Mexico (2011-15), Coordinating Director for Development and Economic Affairs and Deputy U.S. Ambassador in Kabul, Afghanistan (2009-2011), and U.S. Ambassador to Argentina (2006-2009). Wayne has also worked for three Secretaries of State as Assistant Secretary of State for Economic and Business Affairs (EB) (2000-2006). Prior to his service with EB, Wayne worked as Principal Deputy Assistant Secretary of State for European Affairs, Deputy Assistant Secretary for Europe and Canada, Deputy Chief of Mission at the U.S. Mission to the European Union in Brussels, and Director for Western Europe at the National Security Council. Wayne has an MPA from the JFK School of Government, Harvard University, an MA from Princeton University, an MA from Stanford University, and a BA from the University of California, Berkeley. Ambassador (ret.) Tom Boyatt entered the Foreign Service in 1959 and retired in 1984 as a career minister. During his career, he served in every cone and at posts in four of the five geographic bureaus. He earned the Department of State’s Heroism Award and AFSA’s Lifetime Contributions to American Diplomacy Award for his service. Within AFSA, Boyatt has served as president, vice president and treasurer. He was born in Wyoming, Ohio, and received a bachelor’s degree from Princeton University and a master’s degree from the Fletcher School. He is married to Maxine Shearwood. They have five children and seven grandchildren. Ken Kero-Mentz joined the State Department in January 2000 as a member of the 95th A-100 class. He was posted overseas in Rio de Janeiro, Baghdad, Berlin, Colombo, and Erbil, and worked domestically in the Bureaus of European and Eurasian Affairs and Democracy, Human Rights and Labor. An econ-coned officer, Ken served as AFSA Post Rep in Berlin where he received the AFSA Post Rep of the Year Award in 2009. He served two tours on the AFSA Governing Board from 2011 to 2015 under the leadership of Susan Johnson and later with Bob Silverman. Prior to joining State, Ken spent five years on Capitol Hill covering a wide-range of legislative issues, including foreign policy. Raised in Vermont, he got his B.A. in International Affairs with a Minor in German, and a Master’s in Public Administration from the George Washington University here in DC. Ken decided to run for the State VP position because he believes strongly in AFSA’s dual mission to defend the Foreign Service and protect Foreign Service employees. 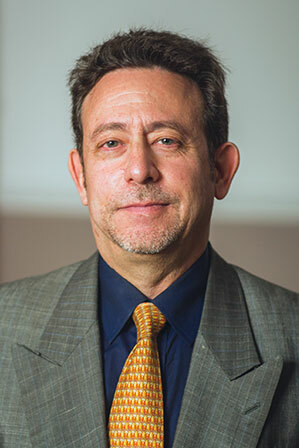 Mr. Jeff Levine is an accomplished development professional with over 25 years experience designing, implementing, and evaluating programs, partnership development, and administration. With a constant eye on the Agency's objectives and goals, Jeff brings a collaborative approach and deep Foreign Service experience to AFSA after tours in Washington, Africa, South America, Asia and the Middle East. This familiarity across the Agency allows him to understand the needs and challenges of Foreign Service Officers and our Agency colleagues, particularly in a highly uncertain and changing environment. As a single-parent, he has learned and applied work-life balance to his career, and frequently mentors new officers. 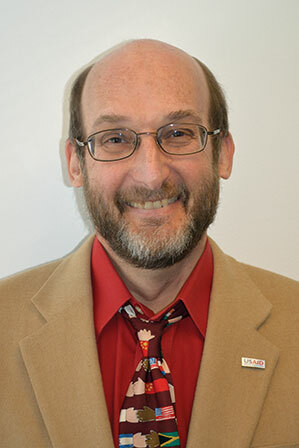 Mr. Levine looks forward to utilizing his background of diverse assignments, responsibilities, and opportunities to represent and advocate on behalf of his peers at USAID. 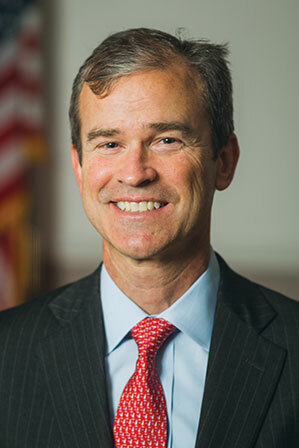 Daniel Crocker is a career member of the Senior Foreign Service. Prior to his election to the AFSA Governing Board, he was the Commercial Counselor at the U.S. Embassy in Madrid, promoting U.S. commercial interests in Spain. Mr. Crocker was the first Director for FCS’s newly created Office of Digital Initiatives, where he led the successful procurement and global implementation of Salesforce to capture all of Commerce’s trade engagement. He was also Commerce’s first Executive Director for Western Hemisphere operations, where he managed 230 officials in 14 countries. Mr. Crocker’s earlier foreign assignments were in Panama, Mexico, Brazil, and the Dominican Republic. The U.S. Government has given him a Superior Honor Award, two Meritorious Honor Awards, two Commerce Bronze Medals, and two Director General’s Awards. Mr. Crocker worked in the private sector with Schlumberger, Amsted Rail, Webvan, HomeWarehouse.com, and as an MIT consultant for Hewlett-Packard. He has a BSE from Princeton University, an MA in Foreign Affairs from the University of Virginia, and an MS and MBA from MIT, where he was a Leaders for Global Operations fellow. Mr. Crocker is married with two children and has raced bicycles competitively throughout Latin America, the U.S., and France. Kimberly Svec Sawatzki, a member of USDA’s Foreign Agricultural Service for more than 20 years, recently finished a 4-year tour as the Agricultural Counselor in Ankara, Turkey. She previously served as Senior Agricultural Attaché in Moscow and as the Agricultural Attaché in Brasilia, and on a detail to the United States Southern Command. She worked in various positions in Washington, D.C., including as the Area Director for Africa and the Middle East in FAS’ Office of Foreign Service Operations, and in the Office of Negotiations and Agreements, the Grain and Feed Division, and the Dairy, Livestock, and Poultry Division. Kim has a master’s degree in Agricultural Economics/International Trade from the University of Illinois, and bachelor’s degrees in Economics, International Affairs, and German from the University of Maine. Kim and her husband have one child. 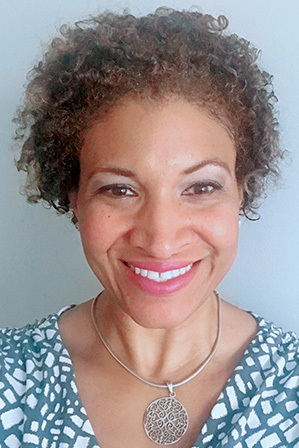 Kim is eager to serve as the AFSA Vice President for FAS in order to advocate on behalf of FAS Foreign Service officers and build strong, sustainable, and compassionate Foreign Service. John Naland’s 29-year Foreign Service career included service in Colombia, Costa Rica, Nicaragua, Mexico (as principal officer in Matamoros), and Iraq (as leader of the Provincial Reconstruction Team in Basra). Washington assignments included the Secretary’s Policy Planning Staff, the White House Situation Room, and the Bureau of Human Resources (as director of the Office of Retirement). He was AFSA State vice president from 1999 to 2001 and AFSA president from 2001 to 2003 and from 2007 to 2009. He retired from the Foreign Service in 2015. He is currently president of the Foreign Service Youth Foundation and coordinator of the Foreign Affairs Retirees of Northern Virginia. He is co-author of the third edition of Career Diplomacy: Life and Work in the U.S. Foreign Service (Georgetown University Press 2017). A former U.S. Army cavalry officer who served in West Germany during the Cold War, he is a graduate of the Army War College. Born in Kansas, he grew up in New Orleans and graduated from Tulane University. He is married and has two college-aged daughters. He plans to focus on issues which impact current Foreign Service retirees and which will impact today’s active duty members when they eventually retire. Karen L. Brown Cleveland began her career with the Department of State in 2003. Currently, Ms. Brown Cleveland is a Supervisory Special Agent serving as the Deputy Regional Director for Africa in the High Threat Programs Directorate within the Bureau of Diplomatic Security. Prior to her current position, Ms. Brown Cleveland served as the Deputy Regional Security Officer in Nairobi, Kenya. Previously, Ms. Brown Cleveland served as the Assistant Special Agent-in-Charge in the San Francisco Field Office. She also served in a variety of unique positons, which includes serving on the protective detail for Secretary of State Condoleezza Rice, in the New York Field Office and at U.S. embassies in Riyadh, Beirut, and Baghdad. Ms. Brown Cleveland holds a BA in History from Oakwood University. She is the recipient of meritorious honor awards. She is happily married to Jeffrey Cleveland, and they have one daughter. Karen has a strong commitment to customer service and believes her skills, dedication and enthusiasm would benefit AFSA members. She is excited about the possibility of joining a team that has a tremendous reputation in the Foreign Service and Department. Don Jacobson joined the Foreign Service in 1992 and did his first four tours overseas (Ciudad Juarez, Seoul, Bogota, Guadalajara) followed by three domestic assignments (HR/CDA, CA/EX, a FSI/SPAS/CONS). He then served as Consul General in Riyadh and New Delhi and Minister Counselor for Consular Affairs in both Brazil and Mexico. He has been Director of Central American Affairs in WHA since 2016. 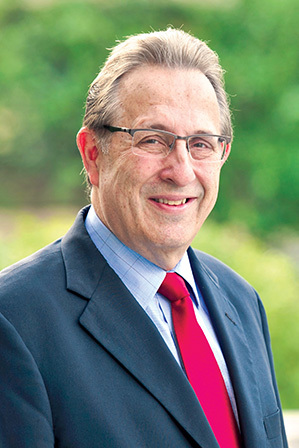 Don has spent much of his discretionary energy over the years on improving the practice of leadership and State and has played a leadership role in the Consular Affairs Bureau’s leadership initiative and iLead. Don filled a vacant spot on the AFSA Governing Board during 2016-17, but did not run for a full term in 2017 because of the demands of his job in WHA. 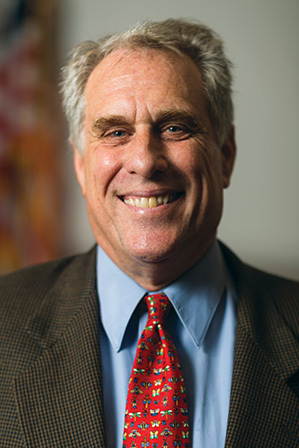 Don will become Associate Dean of FSI’s Leadership and Management School this summer and is eager to support AFSA’s efforts to strengthen the Foreign Service during this challenging time. Don is married and has three children (21, 15, and 14). 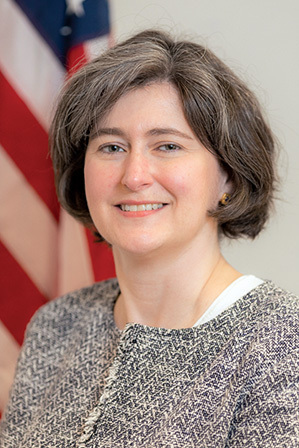 Deborah Mennuti is a career member of the Senior Foreign Service. She currently serves as the Director of the Office of Analysis for Europe in the State Department’s Bureau of Intelligence and Research. She previously served as the Deputy Principal Officer of the U.S. Consulate General in Istanbul, Turkey; the Political Counselor in Belgrade, Serbia; and the Chief of the Political-Economic Section in Almaty and then Astana, Kazakhstan. Since joining the Department of State in 1993, her other overseas assignments have included Moscow, Russia; Athens, Greece; and Seoul, South Korea. In Washington, she has served as an Assessor with the Board of Examiners, the Special Assistant to the Assistant Secretary for European and Eurasian Affairs, and the France Desk Officer in the Office of Western European Affairs. She is married to fellow Foreign Service Officer Jonathan Mennuti. They have one daughter. An AFSA member since 1993, Deborah is eager to give back to the organization that has done so much for the Foreign Service. She is particularly interested in advocating for the hiring levels and resources needed to ensure that the Foreign Service can continue to serve as America’s first line of defense, as well as in tandem and family issues. 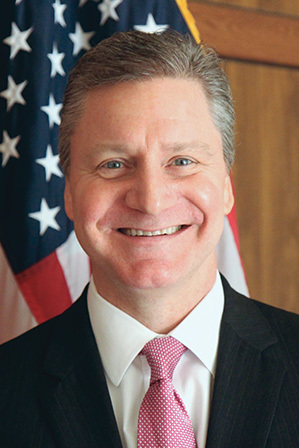 A Career Member of the Senior Foreign Service, Roy Perrin joined the Office of Central American Affairs as Deputy Director in 2016 and helps lead implementation of the U.S. Strategy for Central America to combat illicit trafficking, illegal immigration, and transnational crime. He was formerly Deputy Consul General in Erbil, Iraqi Kurdistan Region, leading efforts to degrade and defeat ISIS. Mr. Perrin previously served as Chargé d’Affaires, a.i., Acting Deputy Chief of Mission, and Counselor for Political, Economic and Narcotics Affairs at the U.S. Embassy in San Jose, Costa Rica, as an economic and labor officer at the U.S. Embassy in Beijing and as acting Consul General in Chengdu, China. He has also served in Caracas and Bangkok, and in the State Department’s Operations Center Crisis Management office. 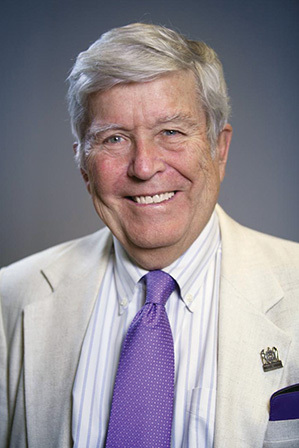 Mr. Perrin was the 2011 recipient of the U.S. Department of State’s Award for Excellence in Labor Diplomacy for his work in China, and he has received four State Department Superior Honor Awards. A native of New Orleans, Louisiana, Mr. Perrin earned a Bachelor of Engineering degree from Vanderbilt University and a J.D. from Tulane Law School, serving as Editor-in-Chief of the Tulane Maritime Law Journal. Prior to entering the Foreign Service, Mr. Perrin practiced law in California and Louisiana. He is married to Michele Perrin, who also works with the U.S. Department of State, and they have one daughter, Isabel. An active member of the American Foreign Service Association (AFSA), Roy filled a short vacancy on the Governing Board as a Junior Officer. He has been AFSA Post Representative at three overseas missions, and in 2002, AFSA awarded him with its Achievement Award for leading efforts to resolve problems associated with the Department’s implementation of a new salary scale for incoming officers. 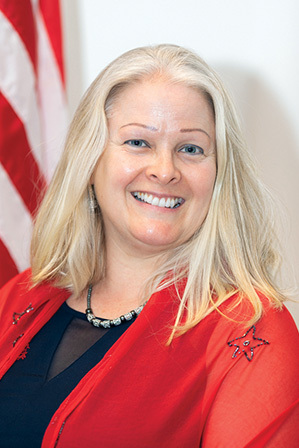 Lillian Wahl-Tuco joined the Department of State in 2006 as a Consular coned Foreign Service Officer. 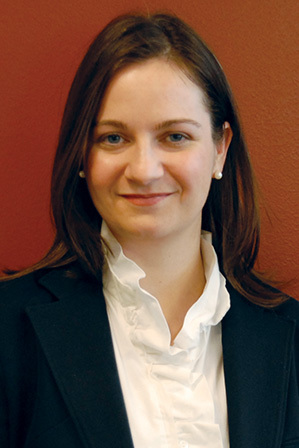 She is currently serving as a Pearson Fellow on the SFRC, Minority staff. Lilly has served on award committees, employee association boards, and as a Federal Women's Program coordinator during her overseas assignments. She also helped launch the first FAST (first and second tour) program in Paris. During a Washington tour in 2011, Lilly’s passion for work-life issues motivated her to launch Balancing Act with several other FS and CS colleagues to help the Department modernize all its work-life policies - including in areas such as flexible work arrangements, telework, parental leave, childcare, and eldercare issues. In addition, Lilly was an AFSA board member from 2012-2014. During that time, she successfully helped secure programs such as the Voluntary Leave Bank, Backup care, and job share reform, among other things. Lilly is part of a FS-CS tandem and is a mother of two children. Lilly is joining EUR/PD in August where she will cover Ukraine, Belarus, and Moldova. 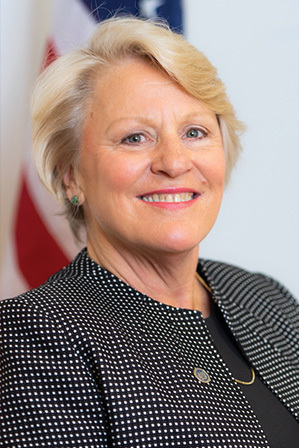 Lilly is interested in re-joining the AFSA board as now, more than ever before, she believes a strong Foreign Service needs to be supported and advocated for by AFSA- especially as hiring and promotions have slowed down. She also wants to help AFSA efforts on diversity and gender issues and continue to be an advocate for work-life reforms that are a win-win both employees and the Department. She believes her experience as a Pearson and Congressional contacts will also prove to be a valuable asset to AFSA. 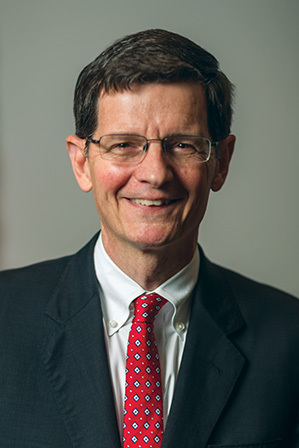 William (Bill) C. Hansen is a Foreign Service Officer and the AFSA appointed USAID Representative. He currently serves as USAID’s Senior Development Advisor (SDA) to the Penta-gon. 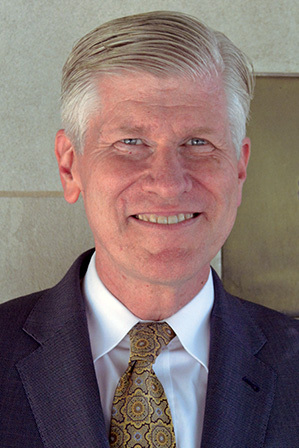 His previous assignments include: Supervisory Program Officer, Washington DC and Supervisory/ Executive Officer at missions in; Indonesia, Albania, Republic of Georgia, Iraq and Kenya. As a FSO, Bill enjoys working in the inter-agency environment and in the past has represented USAID or chaired the ICASS council, ICASS Budget Committee, the Board of Governors at the International School of Kenya, the Interagency Housing Board (IAHB), the Post Employment Committee (PEC) and the Joint Country Awards Committee (JCAC). Originally from Brooklyn, NY he holds a BS in Industrial and Labor Relations from Cornell University and an MS in Ad-ministration from Central Michigan University and is a grad-uate of the US Army Command and General Staff College, Leavenworth, Kansas. Prior to joining USAID, he was a career U.S. Army Officer (Infantry) with assignments to; Georgia, California, Panama, Germany, North Carolina, Kansas, Tex-as, and Washington DC. He is married to Rena (DoS - Foreign Service Specialist), they have an eleven year old daughter; Rebecca and reside in Reston, VA.
Ms. Gulomova's bio is coming soon. Thom Wright joined the Foreign Agricultural Service in 2006 and has served tours in New Delhi and Jakarta. He currently serves as Deputy Director of FAS’s Office of Public Affairs. Thom appreciates the chance to serve as AFSA rep as he believes strong dialogue between management and officers of all levels is essential for a healthy and robust Foreign Service. 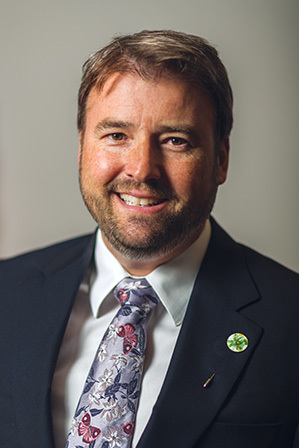 Thom has a bachelor’s degree in French from The Evergreen State College and a master’s degree in agricultural economics from Michigan State University. 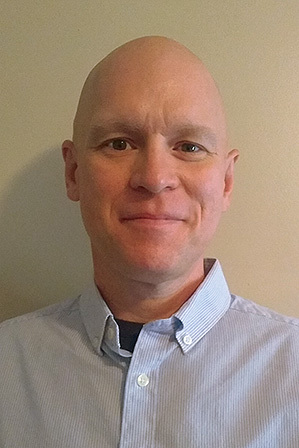 Thom grew up in Washington state and enjoys cycling when he is not spending time with his wife and two children. Jeffery is a career Foreign Service officer. 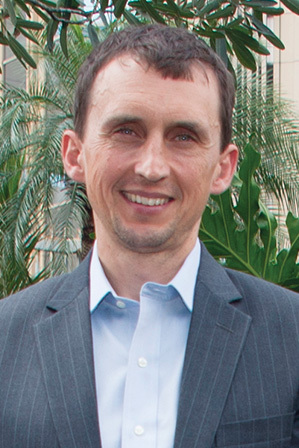 Prior to his recent relocation back to APHIS headquarters, he served as the Area Director for the APHIS International Services office in San Jose since 2014. He is responsible for the technical/scientific, sanitary and phytosanitary (SPS) side of import/export regulations of agricultural trade between Central America and the United States. Additionally, he works to identify emerging animal and plant pest and disease issues within the Central American region and works with the respective countries to develop surveillance and mitigation measures. Steven L. Herman is the White House bureau chief for the Voice of America. The veteran correspondent has been a member of the Foreign Service since 2007 when he was named as VOA’s South Asia bureau chief, based in New Delhi. Subsequent to his India posting, Herman was Northeast Asia bureau chief, based in Seoul, and then Southeast Asia bureau chief in Bangkok. He returned Stateside in 2016 to cover diplomacy, based at the State Department, before moving to cover the new administration shortly after the inauguration. Herman spent 16 consecutive years living in Tokyo, working in media, before joining VOA as a staff correspondent. He is also a former news reporter for the Associated Press and began his career in radio and television news in Las Vegas. Herman is a former president of both the Foreign Correspondents' Club and the Seoul Foreign Correspondents' Club. He is also a governor of the Overseas Press Club of America. The Cincinnati native is a graduate of Thomas Edison State University and holds a M.A. in Public Diplomacy from Mountain State University. During 38 years in the Foreign Service, Ambassador (ret.) 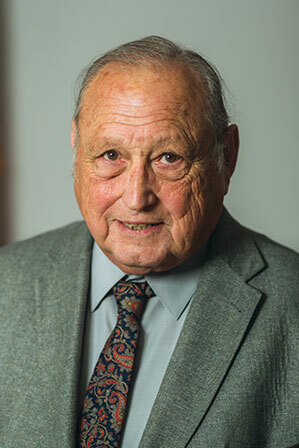 Al La Porta served as ambassador to Mongolia, political adviser to the commander of NATO forces in Southern Europe, executive director to the special envoy for the Multilateral Assistance Initiative and director of the Office of Cambodian Genocide Investigations. Within AFSA, he was vice president for State and president. La Porta currently serves part-time as a senior shift director in the Bureau of Political-Military Affairs and advises the U.S. Pacific Command, the U.S. Africa Command and the Joint Staff/J7. He earned a bachelor’s degree from Georgetown University and master’s degrees from New York University and the National War College. In 2008-09, he served as chief of party for Development Alternatives International (DAI) on a USAID project to advise the foreign ministry in Pristina, Kosovo. He was first elected as retiree representative in 2015. Philip A. Shull retired in 2016 after 31 years with the Foreign Agricultural Service. A native of Wooster, Ohio, his interest in food security and international relations was sparked from living in India as a boy where he saw severe malnutrition. Mr. Shull's work maximizing exports of U.S. food and agricultural products and promoting global food security included trade negotiations, capacity building, food safety, biotechnology, marketing and promotion, scientific exchange, and economic analysis. His overseas assignments included Korea, Argentina (including Uruguay and Paraguay), Hong Kong, Philippines, and three postings to China. His final position was Minister Counselor for Agriculture in Beijing. Throughout his career, Mr. Shull used common goals in improved technology, science-based regulations, food safety standards, and farmer-to-farmer visits to advance broader U.S. diplomatic interests. He reveled in working with other sections of the embassy to expand the reach of USDA programs. He believes that embassies, being among the very few institutions where top experts from diverse fields share office space and a common objective, can epitomize government effectiveness. Mr. Shull's goal in running for Retiree Representative on AFSA's Governing Board was to use his private sector contacts to promote public support for the Foreign Service, particularly in the heartland; defend the Foreign Service against unjustified resource cuts; help ensure our Foreign Service continues to promote the full range of our traditional diplomatic and economic interest; and create opportunities for retirees to demonstrate the value of the Foreign Service by sharing their knowledge, experience, and insights in universities and other forums.